Good to see so many and even some Queensland ones. 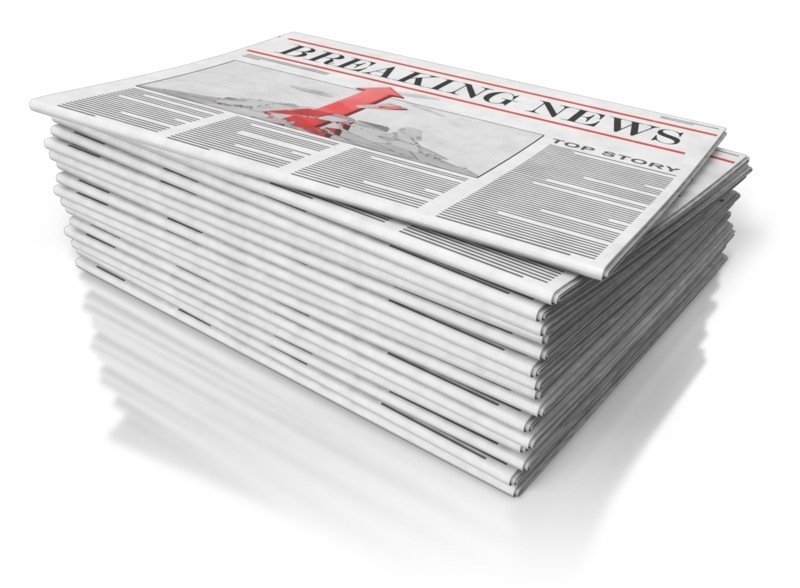 Trove is pleased to announce that the following newspapers, digitised by the National Library through the Australian Newspaper Plan program, have been recently added to Digitised newspapers and more on Trove. Many of these newspapers are currently being added to Trove and further issues will become available shortly. 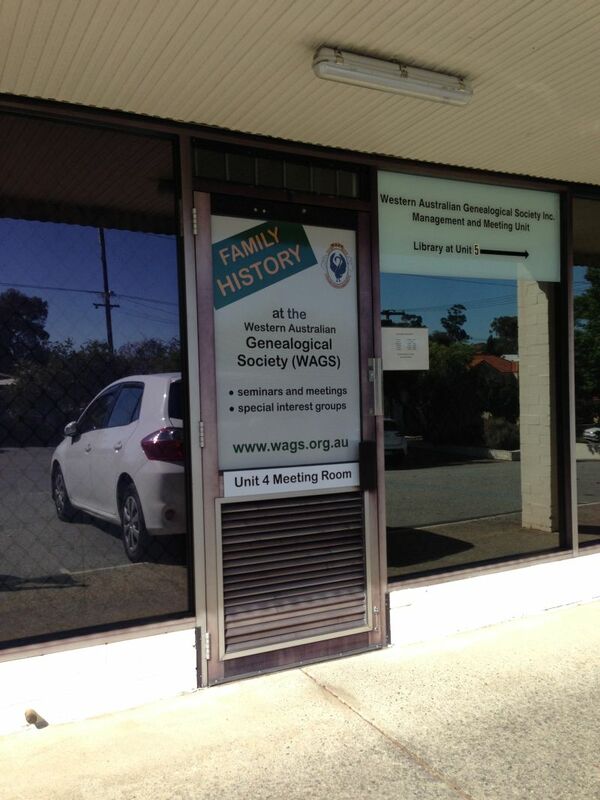 An excellent day was had by all at the Western Australian Genealogical Society rooms today for the Guild of One Name Studies seminar day. 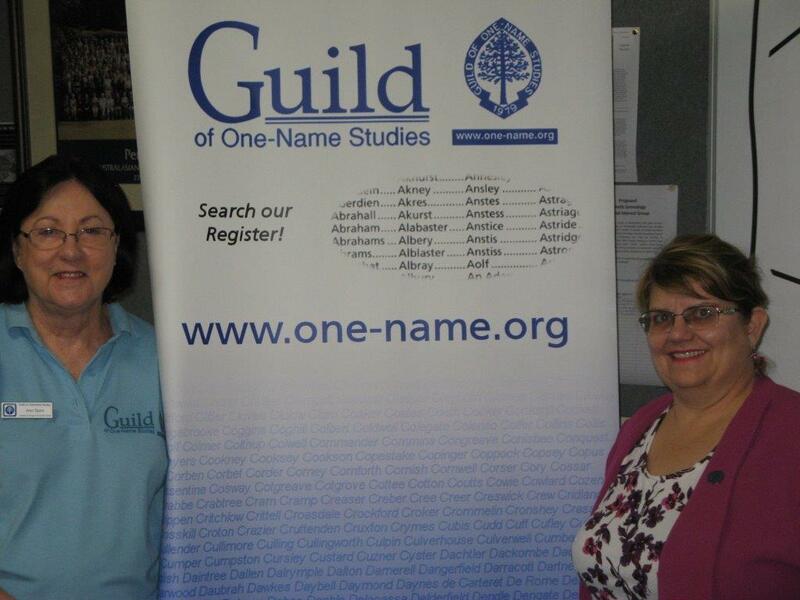 It was ably organised by Ann Spiro who is the Guild’s Western Australian and Northern Territory regional representative. This is a territory that covers 3, 879, 004 square kilometres and is roughly 16 times the area of the United Kingdom! By making these lecture combined with a hands on demonstration gave a more thorough understanding of the topics. There were even some blogs created during the presentation and I look forward to reading their posts. An informative day was had by all and I had great fun with an interested interactive audience. The Introduction Letter: What Would You Write? In the Internet age we take communication for granted. We use email, Facebook, the phone and even at times write a letter to communicate with each other.We share (some people rather too much information) online about what we are doing, put up photos so the concept of not knowing people is not an easy one to consider. Imagine being in the past, in this case 53 years ago which doesn’t seem that long ago but phone calls were not something you made as a usual thing. People did not always travel much. Imagine you are a parent whose son is marrying a girl in another state. You have never met them, only know what your son has told you and the girl’s family also don’t know you. They have had a short engagement of five months and the wedding is fast approaching. You are attending the wedding. What would you write to introduce yourself to the girl’s parents? Below is the letter written by Lillian Smith, my grandmother, introduce herself to her new soon to be in-laws. She did leave it a bit to the last minute as Violet and David married just ten days after this letter was written. I have tried many times to sit down long enough to write to you but as you will realize it isn’t easy, in a position like this. Seeing that the children will soon be married and no longer our responsibilities we will have the chance of meeting and getting acquainted, at the wedding. I had hoped David would not think of marriage for a few years but as they are of age and have prayed about it, and feel it is the real thing, there is no more to be said. I guess you feel the same. It seems strange doesn’t it to think they are old enough, we watch them grow up and think of them as children , then all at once they are adults. I do trust that all will go well for them, and that god will spare them to have many happy years together. When I come back from England I hope you will come and stay with me at Manly when you come to Sydney. I don’t know if there is anything you would like to know about us, giving your daughter to a young man is not easy, I guess, especially when you don’t know his family. David’s father was a wonderful man. He broke his neck and back getting ready for the D-Day invasion. His father was a grand man also, he died 6 years before my Husband was killed. My own Father was a Station Master on the British Railway and served 53 years unbroken service. His father was also on the Railway. We never had any money to spare but we had big home which was open to all, there were six boys and six girls in my family and we all took our friends home, my parents expected it. We had a very happy family life. I was very disappointed at having only one son, however I shall soon have a Daughter. The Lord always supplies our needs if we wait. I ran a long splinter down my finger yesterday so my writing isn’t all it should be, please excuse it. I do hope you are feeling better in health, Mr Busby and that you are not too anxious about the choice your girl has made. David has always been a very self-reliant boy, at 3 years old he would collect his teddy and be in the dugout in record time. As the years went by after my Husband’s death he gradually became the man of the house. At 11 years when we moved into our first Australian home, he laid the lino with me and did repairs, helped with the garden and housework, more like a boy of 18. When he was 15 he started on the Railway and after just a few months asked for country relief, often he would be on level crossing gates 16 -20 miles from anywhere, in a small room out in the bush alone for 12 hour shifts sometimes where there were snakes and things he had never been used to. He did so well they transferred him to Metropolitan relief when I moved from Goulbourn to Manly. He made good progress there also and after getting five certificates and having to mark time for 18 months he decided to join the Military for 3 years. In some ways this may have been good, but in other ways it wasn’t so good. However it was his life and in June he will finish his 3 years and as far as I know go back to the Railway. I think boys go through a silly stage, and have crazy ideas about cars and making money etc but I believe it happens to most boys. It certainly did with David but I think I can safely say that he will take great care of your girl. He is so like his father in many ways and if I can help them in any way I can , you can rest assured I will do my best, as David will be on the Railway they will travel cheaply or free, so you will not be separated from her altogether. I had better close, if there is anything you would like to know about us please ask and very soon now we will meet, I trust you are both well and feel happy bout Violet’s future.